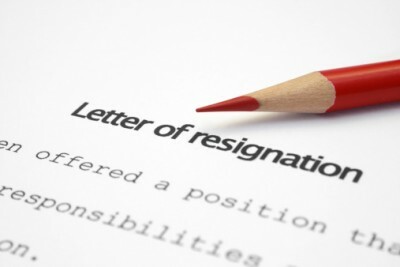 A HIGH staff attrition rate is a common problem in the public relations (PR) world. If communication consultancies want to tackle this trend head on, their human resource (HR) departments must take centre stage and play a critical role in recruiting and retaining top talent. Their familiarity with the intricacies of the business, implementing employment engagement strategies and the ability to customise approaches to suit the agency culture and employees are imperative to both retaining and attracting staff. This goes together with the importance of using effective line managers to ensure every employee knows that there is someone at the agency who cares about their career and well-being. Essentially, regular catch-up meetings and a well-structured mentor scheme can be invaluable in offering employees a platform to ask the types of questions they couldn’t otherwise ask in a more formal forum, such as a staff meeting. What can compel staff to stay is the irreplaceable feeling that they are highly valued members of a team. Praise and recognition need to be duly rendered. This will in turn promote both the individual’s and agency’s success, while crafting a comfortable working environment. Without this, high-achieving staff will burn out and opt to leave for a different agency environment. In fact, recognition doesn’t have to come purely in the form of remuneration. It can be as simple as sending an e-mail message at the end of a project to say “job well done”. Better still, putting in place a clearly crafted career development plan, making known future opportunities and training staff from the ground up can enhance retention by preparing them for a strong future in the agency. With a clear picture of career goals and objectives, employees can aspire to climb the corporate ladder and envisage a future for themselves at the agency. Increasingly, such opportunities are expected to come with the chance to travel and experience different working lives and cultures. Thus, agencies that can offer varied and diversified roles, including foreign travel. In addition, agencies that can offer secondments or transfers to different offices around the region or the world are much more likely not only to retain employees with a desire to travel, but also gain an even more experienced and cultured employee at the end of his trip abroad. On both the local and global level, staff also ought to feel that they are contributing to one another’s success. Here, collaboration is key. Agencies can expedite this process by integrating social media tools such as Yammer, an internal collaboration tool, to stay connected with their teams all over the world by sharing thoughts, content and ideas. The ability of HR personnel to staff the teams effectively by playing off one another’s weaknesses and strengths can ensure a high quality of work for both clients and staff on the account. Social media is also increasingly vital, especially from an attraction point of view. Companies can use social media as a key platform to showcase their agency culture and leverage extensive social networks to source and attract the best talent. Platforms such as LinkedIn can reach out to people with relevant experience in the region. One of the best ways PR agencies can choose to remain relevant in a constantly changing communications landscape is by managing its HR function effectively, in a way that is best fitted to the agency. Through implementing a variety of tools such as training and engaging staff, ensuring employee satisfaction and creating a desirable working environment, high attrition rates can be alleviated over time. Article by Mayda Jutahkiti, general manager of The Hoffman Agency, Singapore.